Platsch means splash, so his English name could be Pittisplash. 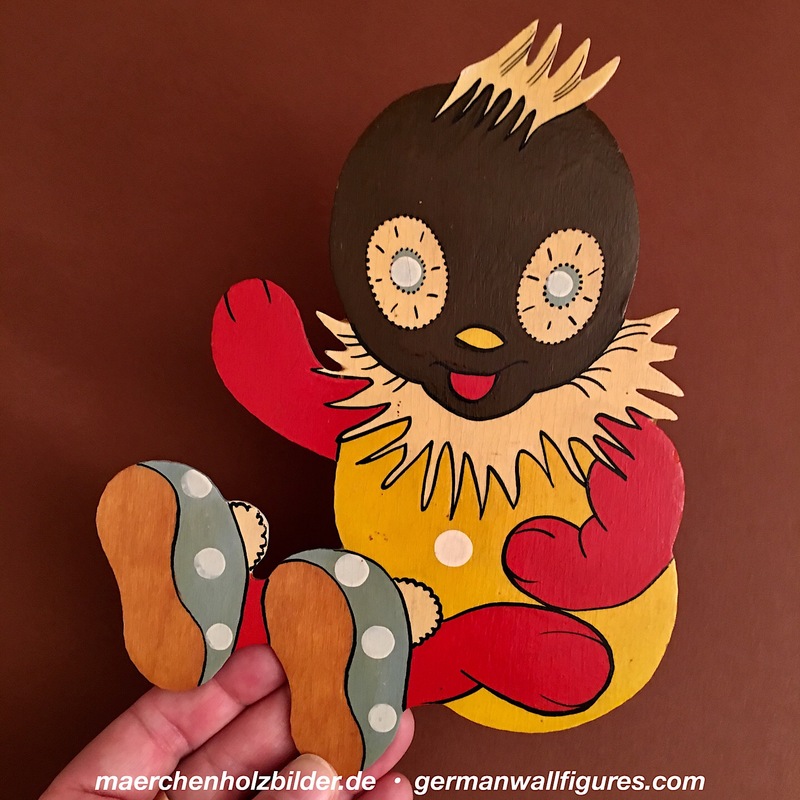 He was a TV character in the then GDR and children loved him, adults to. Here he is hand-painted on wood with lots of varnish, a very nice design, too. And he is rare, this is the only Pittisplash as a wooden wall figure I have seen so far.